FAKESTINIANS CONJURING UP ‘ARAFAT WAS POISONED’ CANARD ACTUALLY SEEK TO EQUATE DEAD PLO LEADER WITH MOHAMED…….. – The Tundra Tabloids……. FAKESTINIANS CONJURING UP ‘ARAFAT WAS POISONED’ CANARD ACTUALLY SEEK TO EQUATE DEAD PLO LEADER WITH MOHAMED……..
Countering the libel, Ahmad Jibril, Head of the PFLP-GC (Popular Front for the Liberation of Palestine – General Command), stated frankly on Al Manar TV that the PA leadership is aware that Arafat died of AIDS: “When [Palestinian Chairman] Mahmoud Abbas came to Damascus, I asked: “What was found in the [medical] inquiry of the death of brother Arafat?” One [of the group] said: “Frankly, the French gave us the medical report, and the cause of Arafat’s death was AIDS.” [Al-Manar (Hezbollah TV) July 5, 2007] This information has never been released to the public. To give credence to this libel, the PA concocted an international intrigue in which Israel initiated the murder plan, the US approved (with certain conditions), and the French doctors who treated Arafat concealed the truth in order to salvage the peace process. NOTE: It is however an indisputable fact that polonium-210 is an extremely rare isotope (a fingerprint for the nuke industry) that has been used exclusively in cases involving enemies of Russia’s president/prime minister/president, Vladimir Putin. 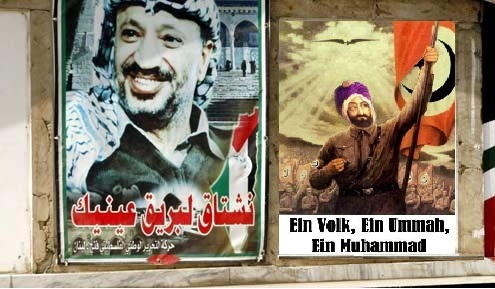 So as Yisrael Medad writes at My Right Word blog: Who killed Arafat again? Previous Post Previous Post FRENCH JEWISH STUDENT ATTACKED, STUDENT AT SCHOOL WHERE MERAH MURDERED THREE PEOPLE……. Who care who killed the egypt terrorist arafat? I still take pleasure in the fact that his dead. Who the blazes cares, besides nitpicky Palestinians with too much time on their hands ? I think this story is propaganda designed to distract attention from other matters.